Surbeck Waterjet Company was founded in 2001 by David Surbeck, his son Jason, and Scott Adams. 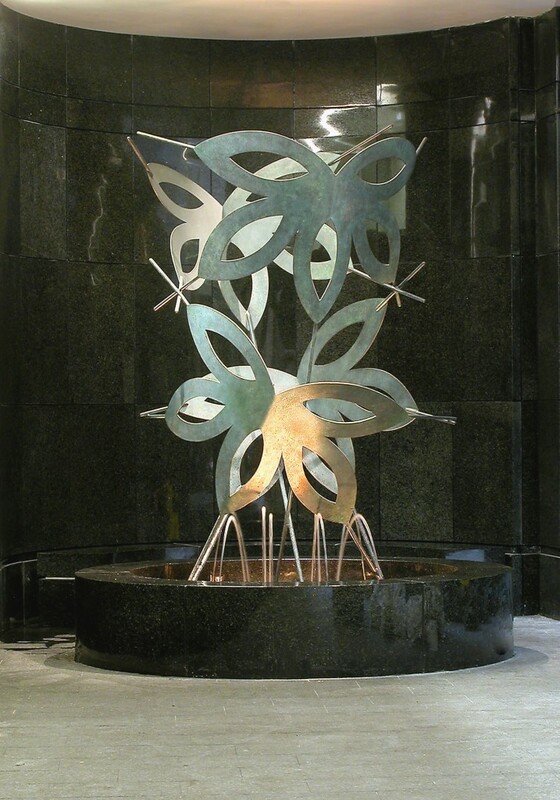 For 15 years, Surbeck Waterjet has been utilizing waterjet cutting technology to produce and fabricate designs for the Architectural and Public Art communities all around the world. Jason and Scott have continued David’s legacy and vision of the company since 2008, with his passing. Jason started waterjet cutting with his father in 1993. With almost 25 years of experience, he is up for any waterjet cutting challenge. Two of his favorites remain drilling a hole through the stem of a martini glass to create a custom chandelier and cutting a slot into the side of a vase creating a paper towel dispenser. In 2004, figures of Jason and his father were even included in the project “Carrying On” by Janet Zweig and Edward del Rosario for the Prince St. subway station, New York City. David’s can be seen at 2:21 of the video, in his wheelchair peering into his kaleidoscope. During his downtime he pursues his passion for drawing and painting. Scott started working with David in 1991 providing CAD design services for his previous company. Over the last 25 years, Scott has worked with designers, artists and installer to organize, layout and prepare their designs for waterjet fabrication. One of his favorite projects was the “Nucleic Life Formation” by Amy Cheng for the Lambert-St. Louis International Airport MetroLink Station. For recreation, he enjoys golfing, being Captain of the Surbeck Waterjet bowling team and traveling with his wife Deb.